My name is Daniel Khalili. I'm 29 years old and work as a Firefighter/Paramedic for the Corona Fire Department. On July 30, 2016 I will be competing in my first Ironman Triathlon in Napa Valley and I will be dedicating my race to Tayvin Sheridan. Tayvin J. Sheridan is a Corona resident and an honorary member of the Corona Fire Department. Tayvin was born August 5, 2011, six weeks premature. 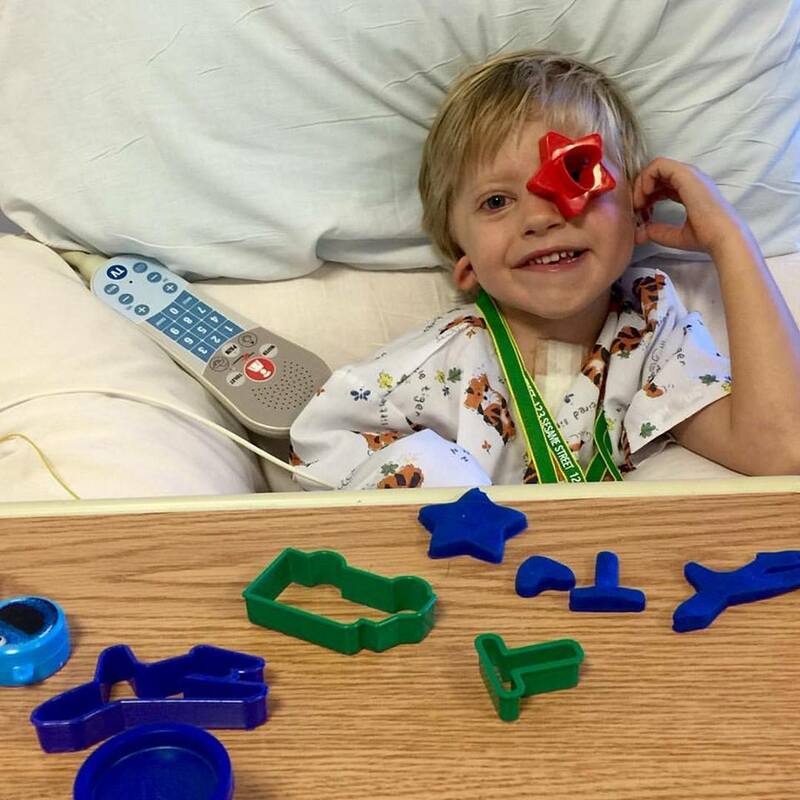 He was born with a hypoplastic right heart, which means the right side of his heart was extremely underdevelpoed. Tayvin was also born with a underdeveloped right arm, right ear and right side facial paralysis. 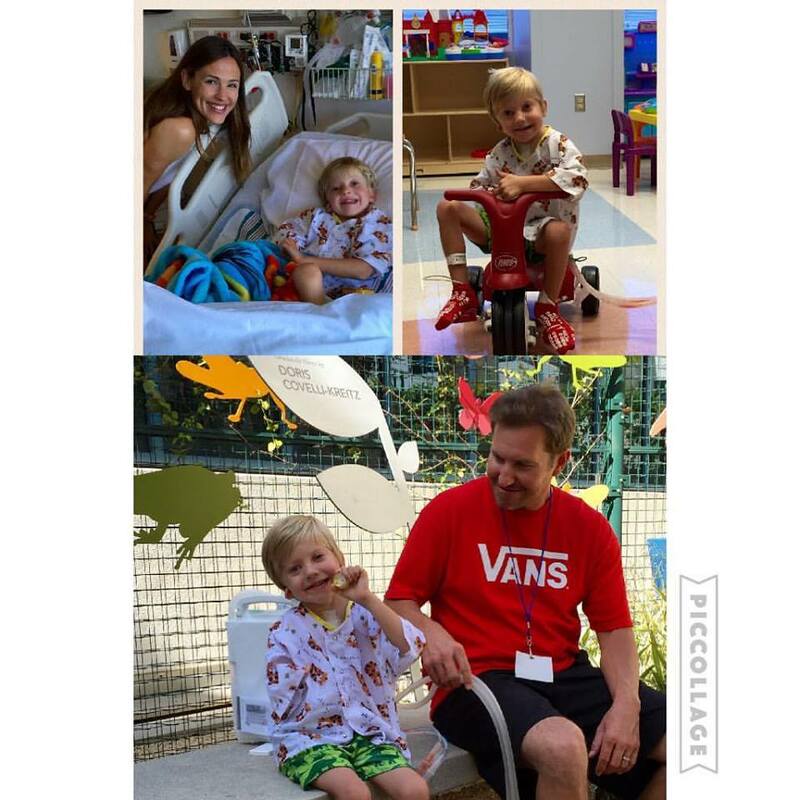 He has received physical therapy since he was 10 weeks old and has undergone two major heart surgeries. 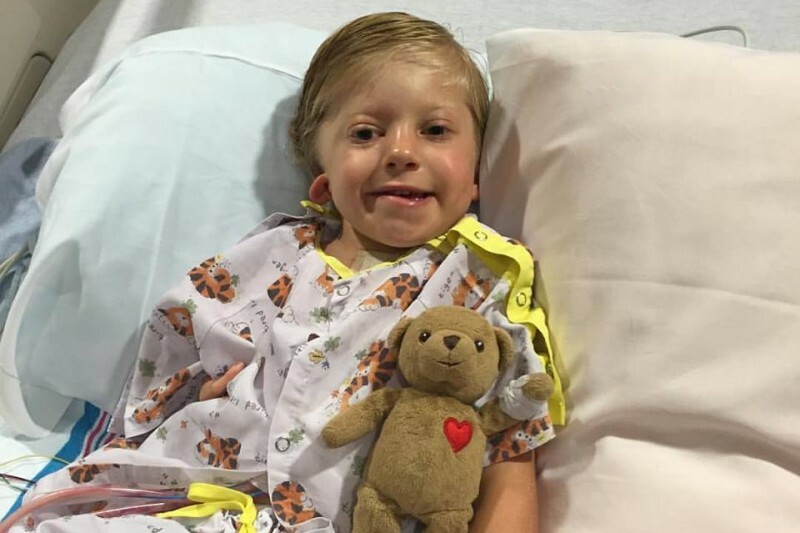 Tayvin is tentatively scheduled for a heart bypass surgery this upcoming July and is planning to have an ear reconstructive surgery in the near future. Aside fom all that, Tayvin is a regular kid just like any other 4 year old. He's funny, likes to play with his friends, loves riding his dirt bike, and is a true joy to be around. As we all know, the medical costs for surgeries and procedures that Tayvin will be having can be extremely expensive. 100% of all funds raised on this website will go directly to the family to help cover those medical bills. Every little bit helps and is much appreciated! 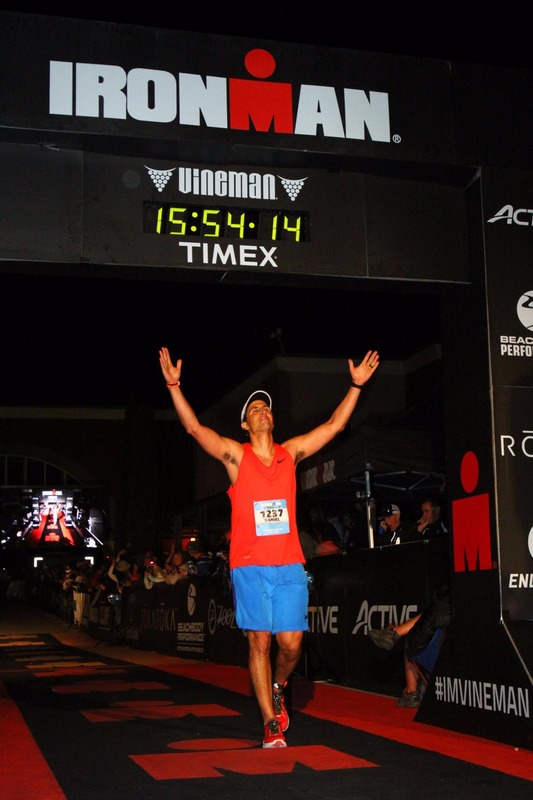 How does someone prepare for an Ironman? Check out my blog for weekly updates on my training progress! Race day went.... ehhh... ok lol. I had a vision of how the day would turn out, and just like most things in life, there were a decent amount of obstacles that got in the way that required some problem solving. Luckily, I had a big support crew. 13 friends and family members made the trip to Sonoma to support me. The Sheridan family, along with Tayvin, so badly wanted to come as well. Unfortunately, Tayvin has been at CHOC hospital since July 6th and is still being seen there. There have been a slew of obstacles since his heart bypass surgery that has kept him from getting home, but we are hopeful that we will be home in the near future. Race day began Saturday morning, July 30th, just after 7am. I was awake by 4:15am, got my gear ready, ate a solid breakfast, and made my way down to the Swim start to get my bike ready and get my body marked with my race # in sharpie (everyone has to do this). My goal time for the 2.4 mile swim was 1 hour, 30 min and I ended up having a great swim. I got out of the water in just under 1 hour and 26 minutes. Aside from the random accidental elbows and kicks I took to the face and body from other swimmers, everything went "swimmingly" and I got out of the water in a really good mood. 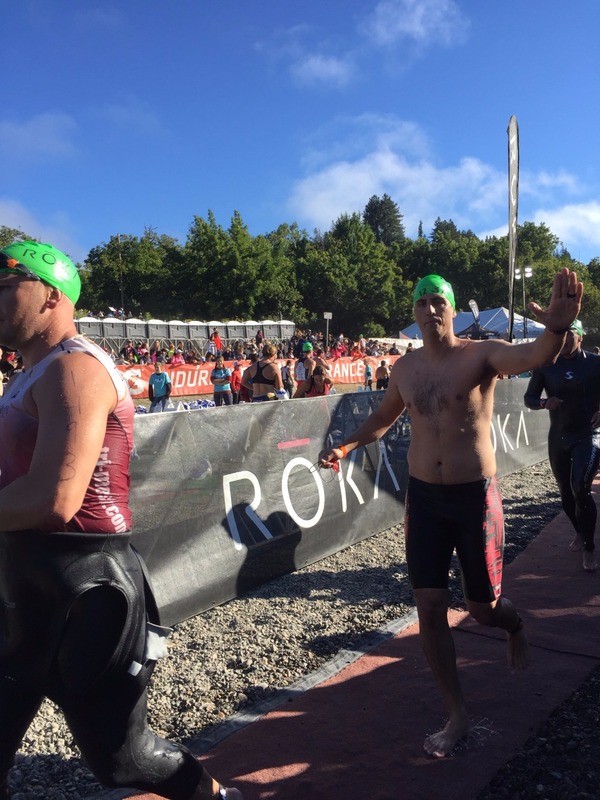 The transition from the swim exit to bike start took less than 10 minutes and I was on my way for 112 miles of torture. Things on the bike started great. My pace was probably a little quick to start and I got through the first 56 miles in right around 3 hours and 10 minutes. My goal time for the whole thing was 6 hours and 30 minutes, so things were right on track. But then the obstacles began. The tube of my front tire sprung a flat just after mile 56 and I was forced to pull over and fix it. With no race mechanics near me, it took me somewhere between 30-45 minutes to get a new tube in there and get back on my way. At this point, I had a ton of lactic acid buildup in my legs from being stationary so long, so it was slow going to start back up. Right around mile 85-90 things got worse. 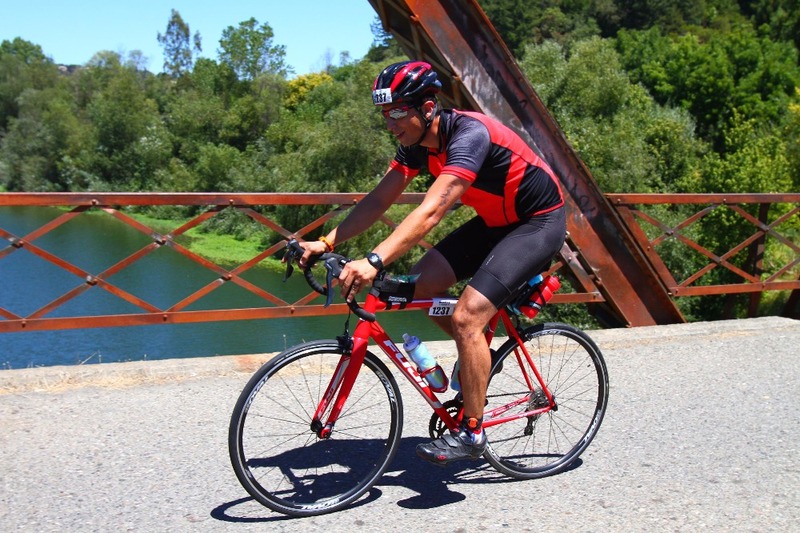 I began having bad cramps to my calves and hamstrings, which really prevented me from generating any power to make my way up the hills I had ahead of me. The cramps got so bad that I was forced to get off my bike and walk up a few hills toward the end for fear that I'd end up falling off my bike if another cramp occurred. Eventually, I made my way to the finish of the bike in 7 hours and 50 minutes, much longer than my goal time. But I was incredibly happy to be off the bike and in a weird way, excited to run a marathon. I began the marathon right around 4:30pm. It had been over 9.5 hours of continued effort up to this point and I still had 26.2 miles of running to go, but I was optimistic. I got a good send off from my family and friends at the marathon start who was all eagerly waiting there to cheer me on. I ran the first mile in about 9 minutes and suddenly as I neared an aid station I began having a bad bout of nausea and stomach problems. Luckily there was a porto-potty there, because I had a bad episode of diarrhea and vomiting. Never in any of my prior races have I felt so depleted and nauseous. I knew I needed to take in more calories and electrolytes, but I was so dehydrated and nauseous that nothing was appealing to eat. I tried taking in some water, potato chips, and pretzels, but it was very little. From mile 1-8, I was making pretty slow progress and was barely able to run without feeling nauseous, so I resorted to mainly walking. I kept looking at my watch and doing the math to see if I could finish before midnight (the race directors will pull you off the course if you don't finish by midnight). There had already been so many unforeseen obstacles to this point. If I started vomiting or had bad cramps again, maybe I wouldn't make it. This was a real low moment for me. But then my mind went to Tayvin. I thought about the struggles he's been through, how long he's been stuck at the hospital since his heart bypass surgery. I thought about all the obstacles he's faced and how he's dealt with each one and kept going. He kept moving on. So I figured I'd just try to follow his lead and do the same. Right around mile 9 my family and friends saw me and every bit of me wanted to quit and throw in the towel, even though I wouldn't say it. I have to say, their upbeat spirits and cheering really helped me out and made me feel more optimistic. Right around mile 10 I came across one of the aid stations and they began serving warm chicken broth, which became my new best friend. I began drinking loads of chicken broth and the warmth and high levels of sodium did just the trick. I started to feel a lot better and was now mixing in a lot more running with my walking. By the time I hit mile 18, life was good. I knew I'd make it to the finish line well before midnight and I really tried to savor those last few miles of running. I began talking to a lot more of the other race participants and we traded stories about our day and re-living the misery that lead us to the point of triumph we were about to make it to. The last few miles and the finish line chute were all smiles as I got to hug and high five all 13 members of my family and friends that made the trip just to support me. Crossing that finish line was a feeling like no other. Just an incredible experience and I'm so glad I was able to dedicate this race to such an amazing kid like Tayvin, who to me, is really the embodiment of an Ironman. And just like that, my Ironman experience is over. As I’m writing this message, we have raised a total of $7346 to help with Tayvin’s medical expenses. Thank you all so much for your incredible generosity and support. This has been such a great lesson and experience for me to see the positive impact a community can have when we all come together. Thank you! 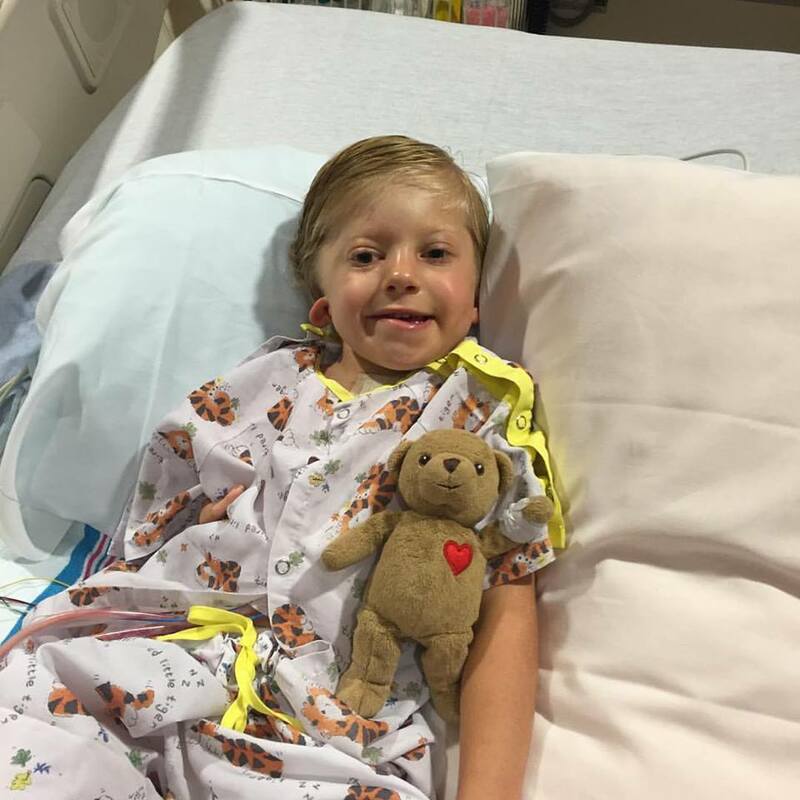 Tayvin had his heart bypass surgery on July 7 and overall, the surgery itself went great! Tayvin has been such a trooper through this whole process and his attitude and spirit through it all has been nothing short of inspirational. I got to visit with him yesterday at CHOC and was beyond impressed with his positive outlook and tenacity! Although the surgery went great, Tayvin is still in the hospital today due to some fluid buildup in his lungs that require drainage. He currently has a chest tube in place and doctors are hoping the drainage will slow soon before he can have the chest tube removed and sent home. Please keep sending Tayvin and the Sheridan family your positive vibes, prayers, and well wishes through this process! And thank you to Kambria (Tayvin's mom) for the pictures! As for me, race day is officially 2 weeks away! Eeeek! I've officially hit the "taper" phase of my training plan, which means all my tough workouts are over and its time to let my body recover so I can be as fresh as possible for race day. Check out the link below to see an updated post of how my training has been going! Thank you so much to everyone who has donated and shared this page so far. You guys are awesome! Please continue to share our page and spread the word! So I'm just finishing up my 5th week of my 16-week training plan leading up to the big day! I just posted an update to my blog as well! Feel free to check it out to see how both Tayvin and I have been doing! Very proud of you cuz! Best of luck Tayvin! !